BoyRaket.com: V15Pro’s AI Triple Camera Explored: Flawless Pictures Made Fun and Easy. Vivo Fan Club Puts The Camera To The Test. V15Pro’s AI Triple Camera Explored: Flawless Pictures Made Fun and Easy. Vivo Fan Club Puts The Camera To The Test. The smartphones of today is our lens for documenting everyday moments, be it from a music festival to the food we eat. The desire to post amazing pictures “for the gram” has heightened the demand for professional camera features on smartphones - who would like to carry a heavy DSLR Camera around, especially on a holiday gateway? Consumers are no longer looking at smartphone camera’s resolution alone to create their unique shots, and we see increasing emergence of multi-camera setups that offer more capabilities for consumers to express their creativity. 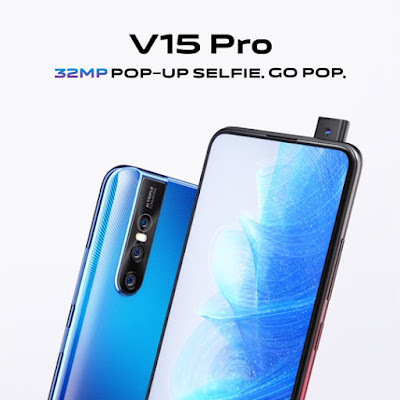 Vivo’s latest V15Pro, for example, has successfully packed everything a consumer needs to capture their every moment in life vividly – it features a powerful AI Triple Camera with 48 Million Quad Pixel Sensor, 8MP AI Super Wide-Angle Camera and a 5MP Depth Camera. To top it off, it uses Artificial Intelligence (AI) to create a more personalized photography experience, allowing consumers to capture great shots on the go. For those night life lovers, V15Pro’s main camera comes with a huge aperture and a 48 million quad pixel sensor to take night shots that can easily light up all the details. The “four-in-one pixel” technology combines four adjacent pixels into a single 1.6μm large pixel, delivering high-quality 48MP photos. The AI Super Night Mode further boosts night photography performance as it instantly captures multiple photos at different exposures and combine them to greatly improve brightness and clarity. Say goodbye to heavy tripods and shaky shots, and capture all the glamour a night scene has to offer. For frequent travelers, the AI Super Wide-Angle Camera can expand their views up to 120 degrees . Imagine capturing iconic sights such as the Eiffel Tower, Taj Mahal in its full majesty with just a simple snap and not having to worry about omitting any details from the images or by having to carry an extra wide-angle lens. Users can simply enable the AI Super Wide-Angle feature to expand their camera vision, fitting more details into one single shot. The 5MP Depth Camera coupled with AI settings can help create a realistic bokeh effect using a series of algorithm that will identify the background. The AI algorithm will blur the background to make the subject of the photo pop – perfect for an Instagram post. The beauty of this feature is that the effects are all done automatically, meaning that users would not have to worry about learning complicated phone settings to achieve such photo effects. The Vivo Fan Club of Malaysia recently put these claims by Vivo to the test. Together, a group of photography enthusiasts whom are also fans of the Vivo smartphones, headed out for an evening of photography, armed only with the Vivo V15 Pro. June Lim, an active member of the Vivo Fan Club, speaks to us about her experience with the Vivo V15 Pro, and she remarked on how great the experience has been so far. “A beautiful night scene is easily captured without any further complicated settings”, she added. “Finally, you can shoot in raw format on the V15 Pro, and the night scene mode helps to frame the sky’s backdrop perfectly. It’s not only limited to shooting night scenes, it’s also great for shooting sunsets and sunrises. Best still, you can edit your videos on the go – on the phone itself! No need for other apps”, Lim adds. “I do hope that we can have a monthly gathering of our Vivo Fan Club, and that we can share the awesome-ness of the Vivo smartphones to get more fans to join us in future. Try it – you’ll be pleasantly surprised”, Lim replies when asked of her plans for the club in future.